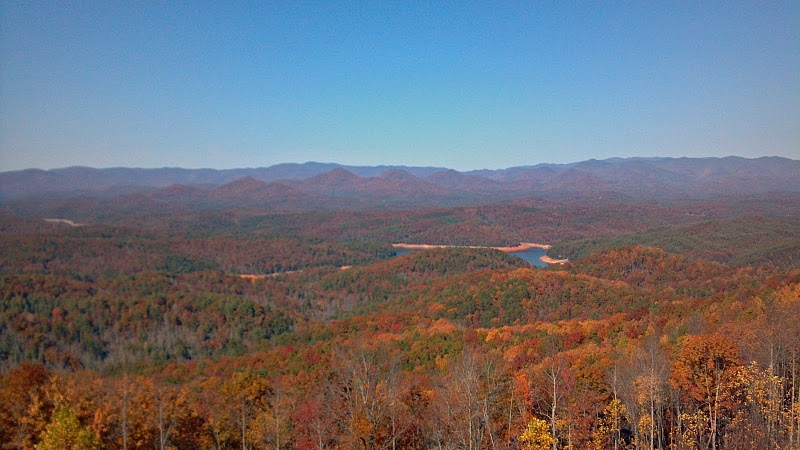 The Panther Top Fire Tower in Murphy, NC was open to the public this weekend so we took advantage of the great fall weather and headed out into the USFS roads. Located about 12 miles west from downtown Murphy, NC this was a great opportunity to climb the tower for spectacular some amazing 360 degree views! There was a USFS Ranger and a Volunteer there to point out where the other fire towers used to be, water towers, mountain ranges and where the Bald Eagles were nesting. Another neat item inside the tower was the Osbourne Fire Finder that was used for triangulating where the fires were. 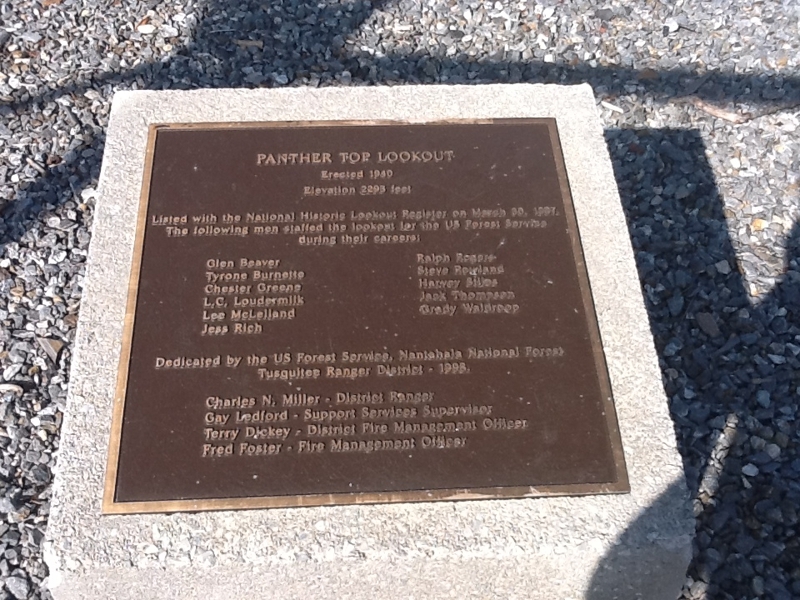 The 30 ft. former live-in Panther Top lookout tower was constructed by the Civilian Conservation Corps in 1940. Standing atop a 2,293 ft. summit it is the westernmost tower in the state. The Forest Service fire tower is normally closed to the public, but was opened October 29-30 and will be again on November 5-6. But don’t worry if you miss these dates because they are talking about opening it again in 2012 to the public.